Retail Price: $70.00 Log in for LOWEST PRICE! Domaine Parent was founded by Claude Parent and, six generations later, it's still in the family. Anne and Catherine Parent are the sister-team currently at the helm. For the past 20 years, Anne Parent has minded the viti- and viniculture side of the enterprise, while Catherine Fages-Parent has managed the business. La Corvee, one of the northernmost Premier Cru vineyards in the Cote de Beaune, sits above the small, picturesque village of Buisson. La Corvee is located within the larger but lesser-known Ladoix appellation. The region is known for its concentrated wines with firm structure, and that's the result of the limestone and clay soils that produce wines of extraordinary character. 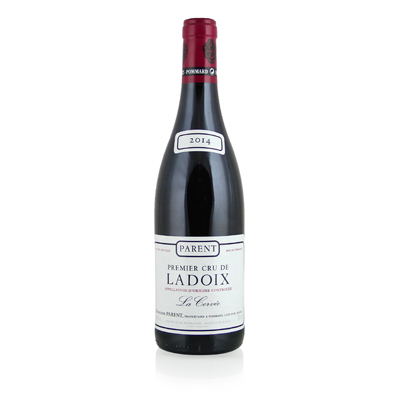 This bottle of Ladoix wine is typically powerful, but beautifully balanced. Bright notes of cherry and current are counterbalanced by firm tannins and the ending goes on and on.